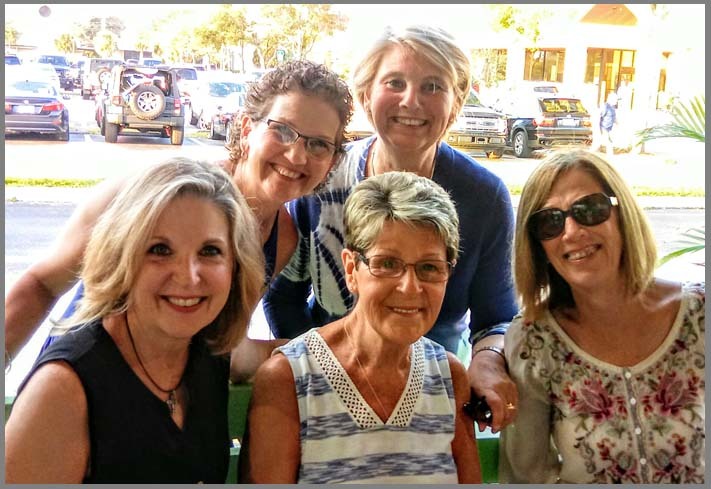 Yesterday as I wrapped up a fantastic (and too rare) girl’s weekend, I was prompted to pause and ponder the idea of friendship. It’s interesting that while all of us have parents, most of us have siblings, some of us have a spouse, children, and maybe even grandchildren – people we love with our whole hearts, and people who love us – we still have a need in our lives for additional relationships – for friends. It’s a great recipe: start with a total stranger with whom we have just a little bit in common, add in some prayer, angst, a couple of milestones and just a touch of drama and the result is a bond of love and respect that holds through tragedy or rejoicing and that endures despite miles and years that separate us. We are wise, we don’t share everything about ourselves with everyone. We protect our emotional, spiritual, and physical boundaries. We don’t publicly air our dirty laundry. We even have secrets our closest family members aren’t aware of. Yet, we are unafraid to unashamedly bare our souls and hearts with friends. We know who will protect the deepest secrets of our lives, gently tend to the most grievous wounds in our hearts, and walk with us through the darkest nights of our souls. There is something sacred about close friendships. I don’t have the sociological or psychological answer to why some people become friends and others don’t. I don’t know why we need affection, acceptance, and affirmation from people outside of our families. However, I do know the Proverb is true… A real friend sticks closer than a brother (Proverbs 18:24b NLT), and my brother sticks pretty close! We need our families, yes, but we also need friends. Friends we can trust. We need friends for different seasons and different reasons. It has been said that if you need a friend, the best place to start is to be a friend. What kind of friend are you? There’s the friend who is always willing to drop everything and go for a long walk with you when life is overwhelming and you need to process difficult things. She listens, she keeps up (even when the pace of your words and your steps is accelerated by the overflow of adrenaline), and when you’re all talked out, she stands on the corner with you until you’re ready to go home. There’s the friend who always has a cup of coffee and a box of Kleenex readily available. Her front door is always open for you, and she is quick to close it behind you. She protects you from the world when you have to change the bandages on the hidden wounds. There’s the friend who always picks up the phone when you need prayer. She doesn’t preach or tell you what you should have or could have done differently. And you will never hear her tell you what she would have done differently if she were you. She simply prays for you and with you. There’s the friend who puts her shoulder to the plow with you. She’s there when hundreds of little bows have to be tied for party favors, she scours Pinterest for ideas for your events, and she just happens to have every needed item for whatever decorating idea you decide to try. She is not afraid to pick up a broom or a dust rag in your house when you are pinched for time or simply need a little help. There’s the friend who holds you accountable in your spiritual life. When you are floundering she is doesn’t hesitate to ask you what your quiet time, your Bible study, and your prayer time is like. She gently, lovingly, and compassionately nudges you toward a deeper, sweeter intimacy with God. There are so many other roles in friendships, these descriptions barely scratch the surface of the needs my friends have met. I hope my friends might use similar words to describe me. These kinds of friendships don’t begin by sending a “friend request”. They begin by sharing life, coming alongside one another, and stepping up when someone needs a hand. They require time and commitment in order to develop while trust is established. They are strengthened as we share life and as we pray for each other. God created us with a need for relationships; and while much of our need is met as we share life with other people, our greatest need for relationship can only be met in God. Only God can adequately fill the void in our souls that longs for pure love, selfless compassion, gentle guidance, genuine comfort, and complete acceptance by another person. God is the Person we desire most. God will never leave us or forsake us, he loves us with an eternal love, and he promises to judge us perfectly and justly. God is wholly trustworthy and nothing can separate us from his love for us. We love our friends, and we know they love us, and we trust that our friendships will survive the test of time. However, we are also cynical, realistic, or old enough to know that sometimes friends drift away, and friendships wane. God will never drift and he will always hold us secure in his embrace. Are you ready to accept the eternal friend request that God is offering to you? If you are in a relationship with God, would you describe it as a friendship? How are you practicing intentionality to maintain (or restore) the vibrancy and vitality with God that your soul desires. What a fun surprise to see your friends that I knew as well! It was so good t see all of them. How good to see you all together in this beautiful picture for a girls weekend! Love it – beautifully said! What a sweet, sweet time of fellowship that must have been!! And your sweet, sweet comments are so true, Marcia! I thank God for your friendship!